The Easter Bunny has arrived so grab your Easter basket and get your eggs ready for coloring! Here are some tasty treats we thought you might like to make for your Easter celebration. 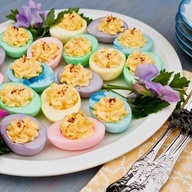 Colored Deviled Eggs- Hard boil your eggs like normal then place them in food coloring. There are many different ways to make deviled eggs so use a recipe that you prefer. Place the filling in the colored eggs and enjoy! 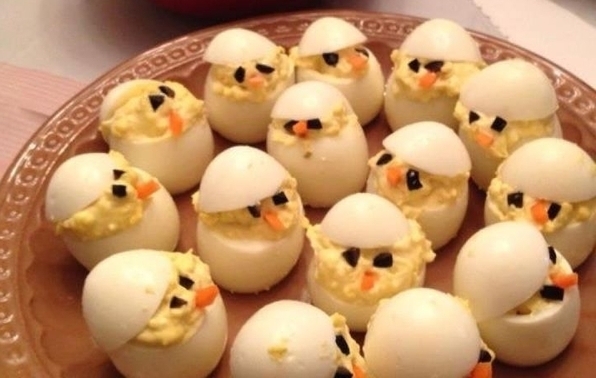 Easter Chick Deviled Eggs- Hard boil your eggs like normal. Cut the top off on side of the egg. Make the filling to your own preference. Use pieces of a black olive for the eyes and carrot slivers for the beak. 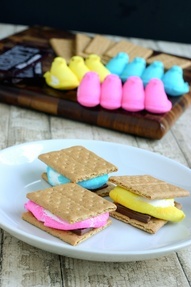 Peep Smores- Use colorful peeps instead of marshmallows to make festive smores. 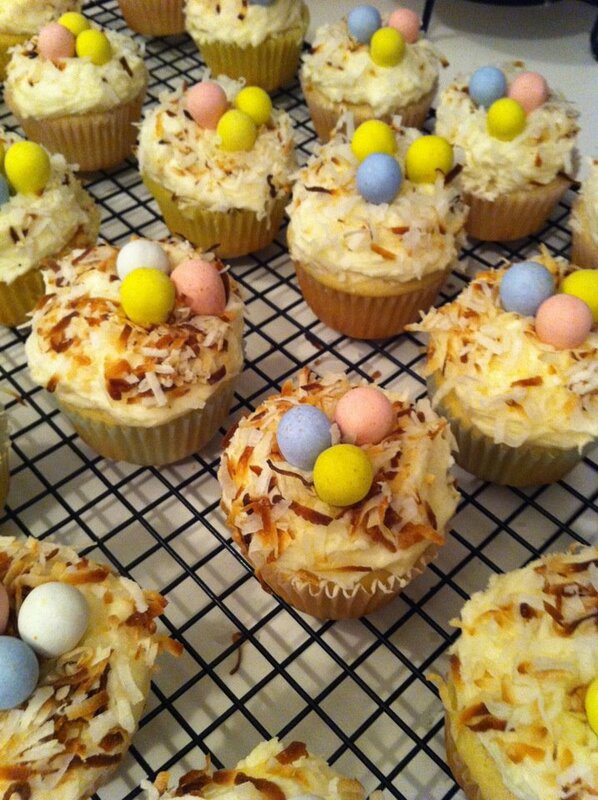 Nest- Use cream cheese frosting, toasted shredded coconut and chocolate malt eggs on top.